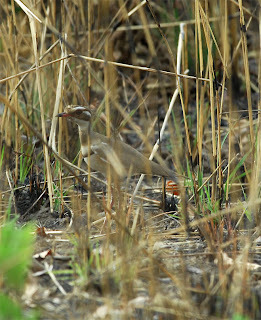 And so the journey continued though as it's July now, March is but a distant memory and this will be on the last few posts on Cameroon for certain now as I'd like to get things posted from the spring in North Kent and then post loads of piccies of stunning cripplers from the autumn as the birds make land fall in Kent and ignore places like Scilly and Shetlands...................then I woke up. 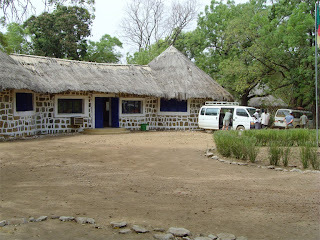 Benoue NP in Cameroon is a superb reserve complete with dust, more dust, even more dust, swat bees, tsetse flies, searing heat, Lions and Leopards, Hippos, excellent food 'it really is very tasty' and of course a host of stunning birds that I've wanted to see for many years. The accommodation is either run down, falling down or excellent and we had a cracking stay here in the wonderful seeing and a very comfty room complete with A/C and good showers. To reach the HQ it's a long dusty drive including the opportunity to try your luck at swat the Tsetse fly whilst seeing some birds on route. 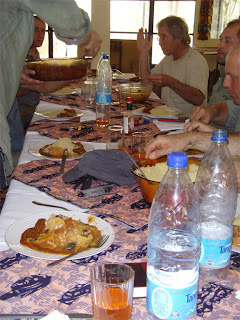 Our arrival at Benoue was met with a cold Coke, Leopards!!! 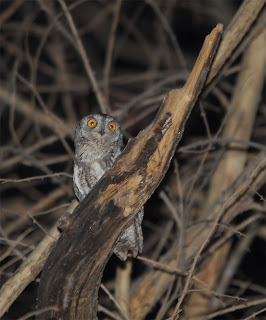 distantly in the riverbed as the sun went down and a brilliant little African Scops Owl calling to us from the compound. Sadly the Pel's Fishing Owl was too distant to be enticed in by a Radioshack speaker!! 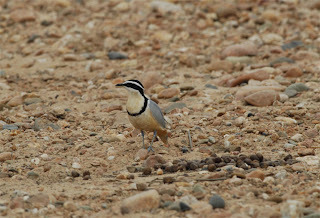 One of the big surprises of the trip and a much wanted bird by many of us, Bronze-winged Courser spotted by the driver who thought it was a Temminck's Courser we'd seen the day before. Great bit of work by the keen eyed driver. 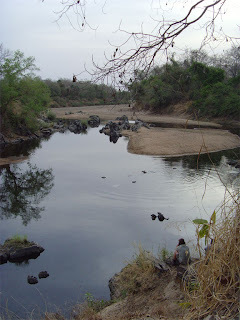 The Hippo pools, complete with enormous hippos that could be heard at night from the rooms despite being a fair way from the camp. 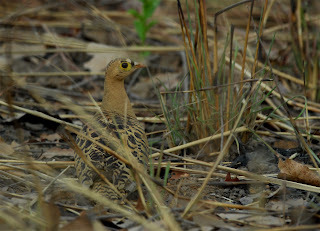 Double- spurred Francolin, widespread and easier to see here than Morocco. 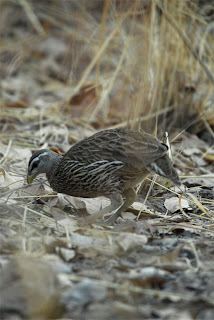 We also saw White-throated Francolin but sadly my camera was taking a rest in the vehicle whilst I did all the hard work in the field! 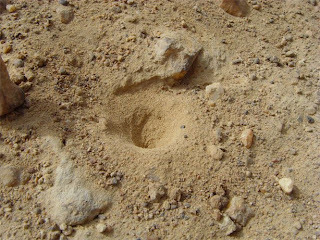 An Ant Lion prised from it's burrow as seen below, ready to devour anything that is foolish enough to fall in it's pit. 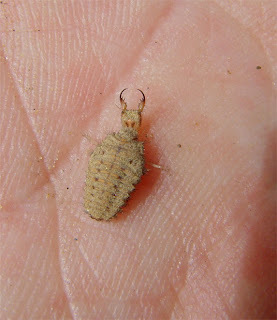 There is also a thriving colony of these at Minsmere, Suffolk!! 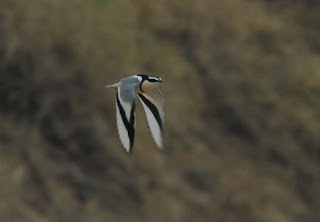 Egyptian Plover, words can not describe this species, they're just too good . Cameroon is a reasonably reliable place to see them and ample compensation for ,myself who missed them in Gambia a few years back as I was a few days too late !!! Schoolboy error there then ! they're around for over 3 months !! 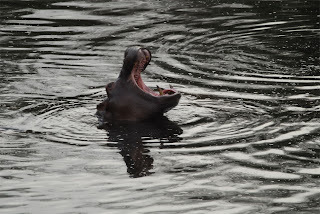 Hippo, noisy, dangerous and a sight to see. You would not want to get too close to these boys !